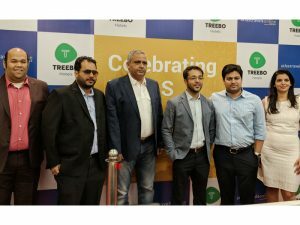 Treebo Hotels has launched its premium brand offering ‘Treebo Select,’ designed to deliver a premium experience to its guests by providing superior amenities and services in the price range of INR 2500-INR 5000. Treebo Select properties are currently present in Mumbai, Chennai and Bengaluru and will soon be launched pan- India in the next few months. Treebo’s entry into the premium budget segment aims to cater to needs of the traveller looking for more than the ‘basic’ standard experience. 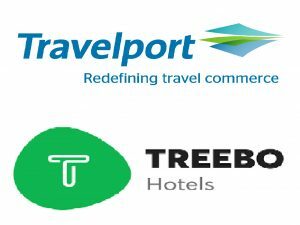 Sidharth Gupta, Co-founder, Treebo Hotels said, “After hosting guests for close to three years in over 60 cities, we now feel that we are ready to cater to the needs of every traveller from a value conscious guest to the one looking for a more premium experience. Treebo Select is an extension of our product to offer the experience, hospitality and services of a four-star. We already have 10 properties under the Select brand, some have been already launched and the rest will go live soon.” Some key features that differentiate Treebo Select from the brand’s core offering are plush rooms, prime location, guaranteed large spread complimentary buffet breakfast, 24×7 room service, guest laundry service, mini fridge etc. in addition to Treebo’s standard offerings like Wi-Fi, branded toiletries, TV with DTH or cable connection and air conditioning. 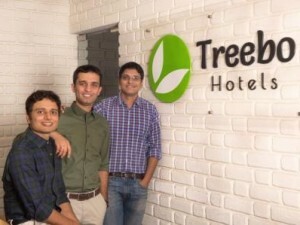 Bangalore-based brand of budget hotels, Treebo Hotels, is paying homage to the Indian National Olympic Squad participating at Rio 2016 by offering each athlete free annual vacations for lifetime at any of the 125 Treebo hotels across the country. Commenting on the offer, Rahul Chaudhary, co-founder, Treebo Hotels said, “Our athletes have been training hard for the Olympics for months now, and we felt a strong need to do something to reward their hard work. Each of them deserves a vacation, and we couldn’t think of a better way of expressing our support than offering them free stays at any of our properties across the country. We have written a letter to the Indian Olympic Association about this, and look forward to hosting our athletes”. As a part of the initiative, each of the 120 athletes is eligible for five-free room nights every year for their vacations for the next 30 years. Not only is Treebo giving free annual vacations to the Olympics team, they are also offering a flat 30% discount at any of their hotels to all athletes in the country, young or old, for any sports-related travel.